And so it is with Burger King’s forthcoming nationwide rollout of their Whopper-burrito hybrid, the Whopperito. The concept that began as one franchise’s crazy idea back in June is a special kind of unappealingly absurd. At least Burger King’s other recent WTF food rollout, the Cheetos-encrusted deep-fried mac n’ cheese bites called, brilliantly, Mac n’ Cheetos, has a certain sad logic to it. That’s why the name rolls off the tongue. 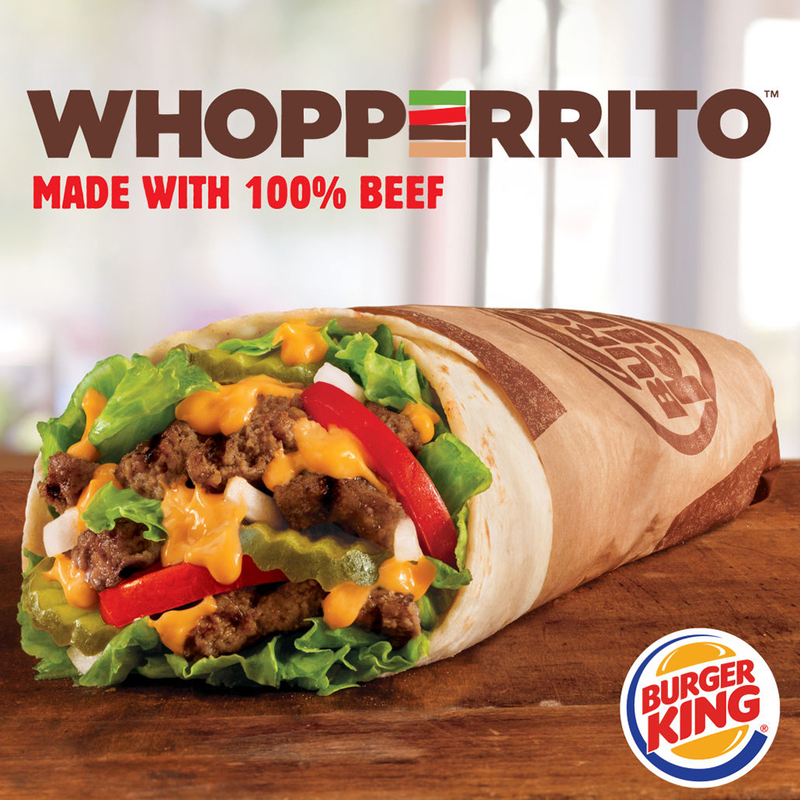 Meanwhile, though it also offers a bit of wordplay, the name Whopperito feels like a car crash to say and looks like it may taste like one when eaten. It’s not like anyone was clamoring for a Whopper-burrito mashup, like burger-burrito hybrids are some sort of current food trend Burger King is hoping to capitalize upon. Instead, it appears to be another one of those mind-blowingly pointless products that I like to describe as some marketing guy starting with a punny name and working backwards from there. Even the brass at Burger King seems strangely unsure how to tout this strange creation. “It’s certainly one of the first times that we’ve tapped into the Tex-Mex category,” Alex Macedo, North American president at Burger King, told Bloomberg, striking a very neutral tone. “It’s one of the fastest-growing categories—consumers like the freshness of it, they like the mix of flavors.” So are we supposed to believe that wrapping a Whopper in a tortilla somehow makes it fresher? Macedo nearly implies that, but even he seems to want to avoid such a claim. A similar sort of ambivalence was infused through the Whopperito press release. “After it was met with widespread media attention and social media requests, the menu item will become available at all Burger King restaurants nationwide for a limited time while supplies last,” the statement reads. Nowhere does the release suggest that people wanted it because they thought it was good, or that even Burger King is excited about it; the brand is just fulfilling demand. Related: DID BURGER KING STEAL THE IDEA FOR MAC N CHEETOS? For the record, a Whopperito is “prepared with many of the same ingredients as the Whopper sandwich.” The beef is seasoned with a “special blend of spices,” then “layered with freshly cut tomatoes, onions, and lettuce, topped with pickles and smothered in creamy queso sauce, and wrapped in a flour tortilla.” It will be at participating restaurants for a limited time starting August 15 for a recommended price of $2.99. You can buy it. You don’t have to buy it. They’re just putting it out there. If a burrito-version of a Whopper is something you want to try so you can tweet about it, Burger King has it now. That’s all they’re saying.